Galveston Island, Texas– Galveston Historical Foundation’s Texas Seaport Museum is pleased to announce that they will be offering their Marine Biology Harbor Tour to the public on a limited basis. 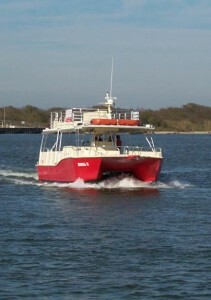 This unique experience takes place on board the SEAGULL II, a 50’ catamaran which docks at the Texas Seaport Museum, Pier 21, in Galveston. The tour starts at 5:15 p.m. and costs $15 per person for adults 19+, and $12 for youth aged 6-18. Children 5 and under are free and reservations can be made online at www.galvestonhistory.org or by calling 409-763-1877. Dates announced are August 15, August 29 and September 5. The Marine Biology Tour provides participants with a hands-on opportunity to observe dolphins and other species in their natural habitat, trawl for and handle marine organisms, study plankton through microscopic lens, and explore Galveston Bay’s rich history. Led by marine biologist Dr. Sid Steffens, the tour lasts one and a half hours. Located in the historic port of Galveston, the Texas Seaport Museum is home to the 1877 ELISSA and also tells the story of a rich legacy of seaborne commerce and immigration. Look for ancestors with a one-of-a-kind computer database containing the names of more than 133,000 immigrants who entered the United States through Galveston, “‘The Ellis Island of the West”‘. Join the Museum’s staff and volunteers as they bring the past to life through special exhibits and educational programs. For more information and reservations, please contact Texas Seaport Museum at 409-763-1877. For more information, please contact Will Wright, Director of Marketing & Special Events at 409-765-3404, will.wright@galvestonhistory.org or visit www.galvestonhistory.org. 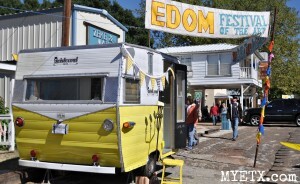 EDOM- The quaint little community of Edom, Texas, is home to the premiere art festival of East Texas. Edom has been hosting artists for almost forty years in a meadow just a stone’s throw from downtown for this annual event. 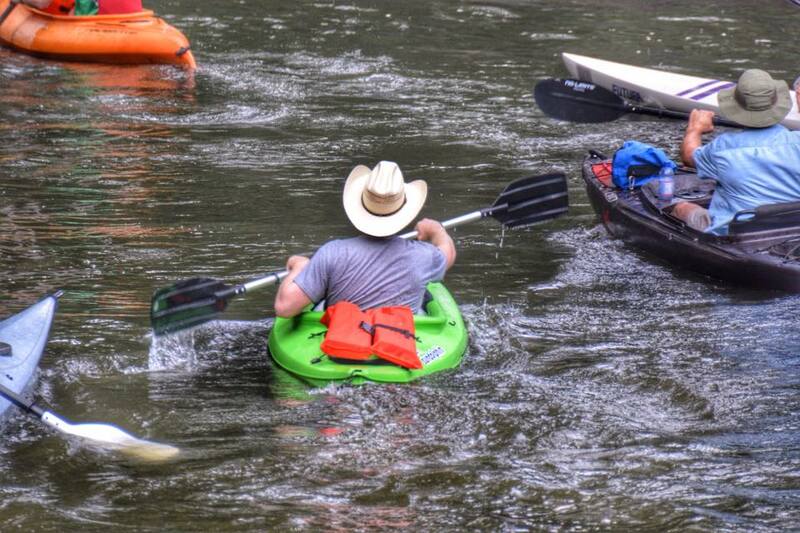 This weekend Edom will be humming with art lovers, collectors and live music at the 13th Annual Edom Festival of the Arts. 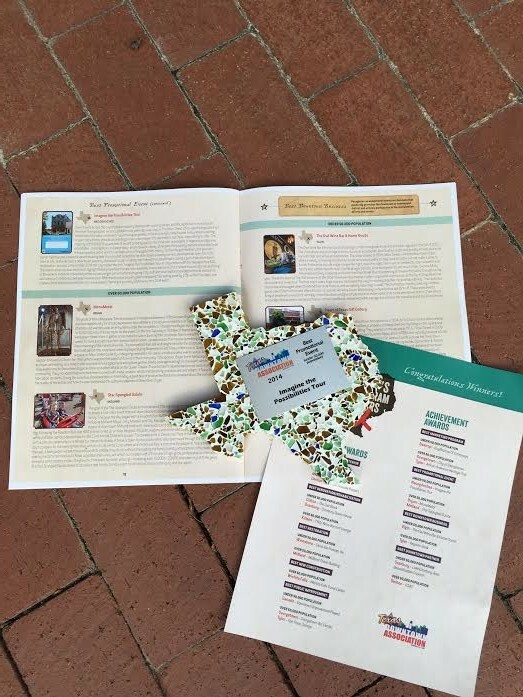 Granbury, Texas – November 7, 2014 – The Imagine the Possibilities Tour was named a winner of the 2014 Texas Downtown Association (TDA) Presidents Awards Program. Since 1998, the Awards Program has recognized more than 150 projects, events and people that make a difference in Texas downtowns. The categories are divided based on populations of over and under 50,000 inhabitants.